Leading Manufacturer of automatic transfer switch controller, ats controller, hat220a ats controller, hat260 ats controller and hat600 ats controller from New Delhi. 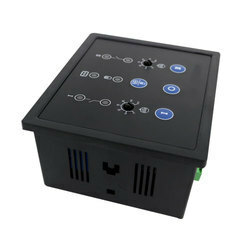 Our Automatic Transfer Switch Controller is manufactured using high quality raw materials sourced from best in class vendors. It can accurately detect extended-spectrum road phase voltage of the abnormal voltage. Our esteemed and highly appreciated product is known for its superior quality and being easy on consumers’ pocket. 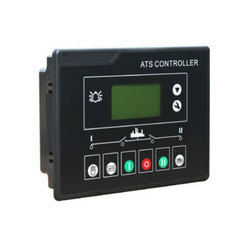 Our company is involved in offering optimum quality ATS Controller. The module is manufactured from high-quality raw materials, which ensure its durability. These products are available at most economical prices. The module features 8-Bit microprocessor control. 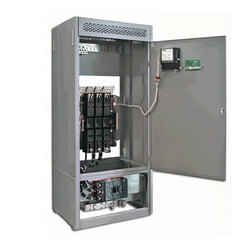 It is used to monitor two single phase AC supply. We are engaged in the business of manufacturing, supplying and exporting the best quality HAT220A ATS Controller. This module is used to monitor two 3- phase AC supply. Its status is displayed by six LEDs. It is widely acknowledged among the customers for its high efficiency and durability. The entire range offered by us has amassed intense praise among the client base. Our company is a highly popular name involved in manufacturing and supplying supreme quality HAT260 ATS Controller. The whole range of these products is widely known for its long lasting life and flawless finish. It can accurately detect 2 ways-3 phase, 2 ways- 2 phase voltage and makes accurate judgement about abnormal voltage. AC supply: 180 to 260 V (50/60Hz) 1.5VA Under voltage: 265±5 V, Under voltage: 172±5 V.
We are one of the reputed manufacturers, suppliers, and traders of HAT600 ATS Controller. Our product is manufactured using superior quality raw materials procured from reliable vendors only. It is an automatic control module using microprocessor as core. It can accurately detect 2-Way 3-phase/single phase voltage and judge abnormal voltage.